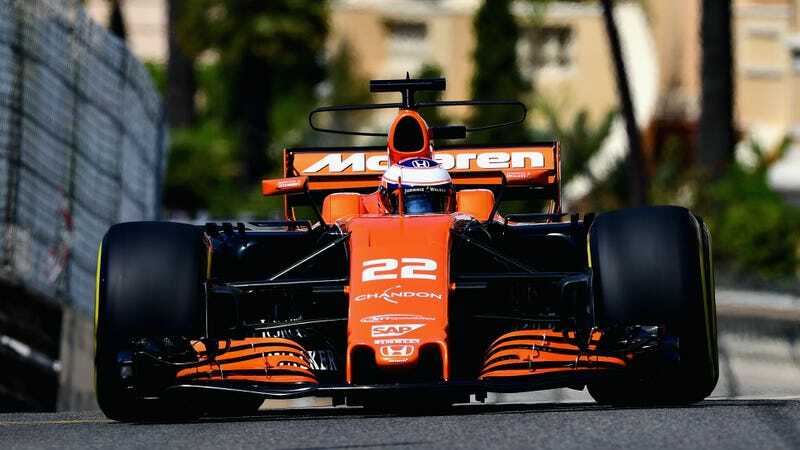 Fernando Alonso is off to try winning the Indianapolis 500 this weekend, so mostly-retired McLaren teammate Jenson Button is standing in for him at the Formula One Monaco Grand Prix. McLaren got Alonso on the team radio to give Button some words of good luck. In return, Button said he’ll pee in the seat. Alonso deeply wants to win the Triple Crown of Motorsport: Monaco, Indy and Le Mans. Alonso has already won the Monaco Grand Prix in the past, and this year’s McLaren is a dog that had to start from pit lane due to a preventative parts swap, so he’s trying to tick off a second race in the Triple Crown instead: Indianapolis. ﻿Jenson, my friend. I’m sure you wanted to hear my voice before starting the race. We are wishing you the best of luck. We’re following you here on television. You did amazing yesterday, so yeah, please...take care of my car. Aww, thank you!﻿ Okay. I’m going to pee in your seat. Hey, man. He’s just keeping it warm! No, please. Have fun! You did amazing yesterday. Amazing job. Congratulations. Button qualified ninth before grid penalties moved him to the back for today’s race, at which point McLaren opted to start him from pit lane. Button pitted almost immediately at the start of the race, hoping to make up time as other teams bring their cars in to pit later. Sauber’s Pascal Wehrlein was the only other one on the same strategy, nearly making contact with Button in an unsafe release after the two pitted at the same time. So far, Monaco has been relatively clean, however, with the only major problem being on a Renault for once—not Alonso’s cursed McLaren. 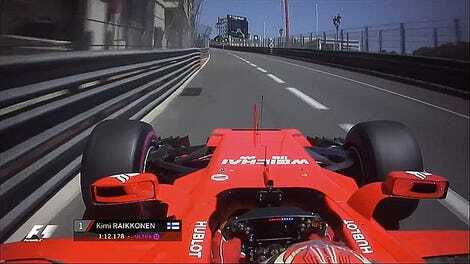 Nico Hülkenberg aid down a massive smokescreen thanks to a gearbox problem that forced him to retire, pulling off right before Monaco’s infamous tunnel.